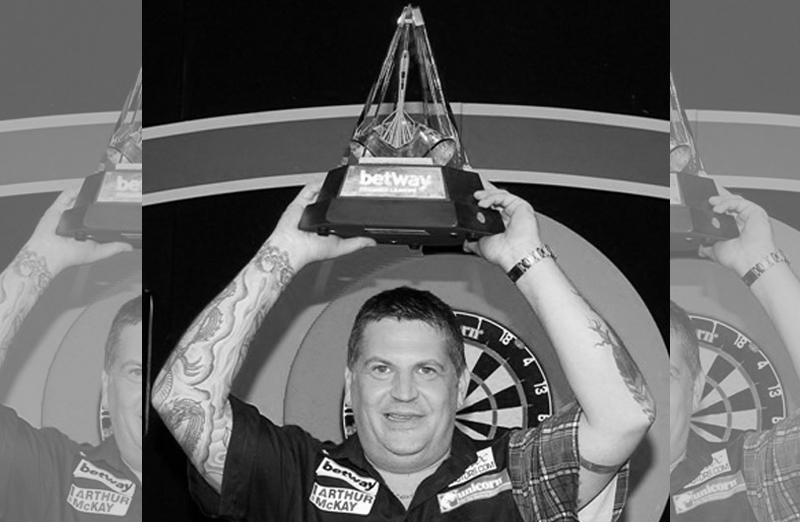 Quite simply he is one of the greatest of all time….one of the best darts players of this or any era of the sport. 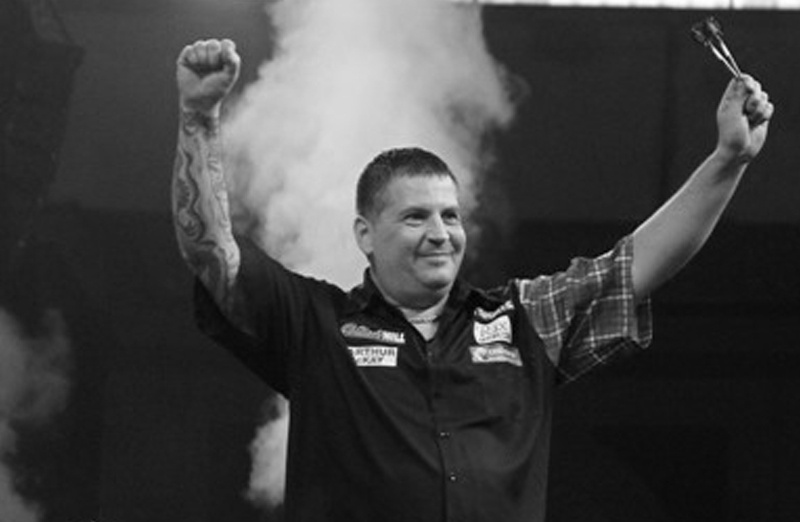 And Gary Anderson isn’t finished yet as he chases his dream of a third World Championship crown. 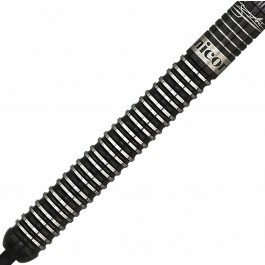 The Scot has signed a long-term deal with Unicorn and his darts are still flying out of the door to all corners of the world. Anderson continues to add to his tally of ‘Majors’ and you wonder what more he would have achieved if he’d joined the PDC earlier. But Anderson is quality and when he is ‘Flying’ there is nobody on planet darts better than the ‘Flying Scotsman’. 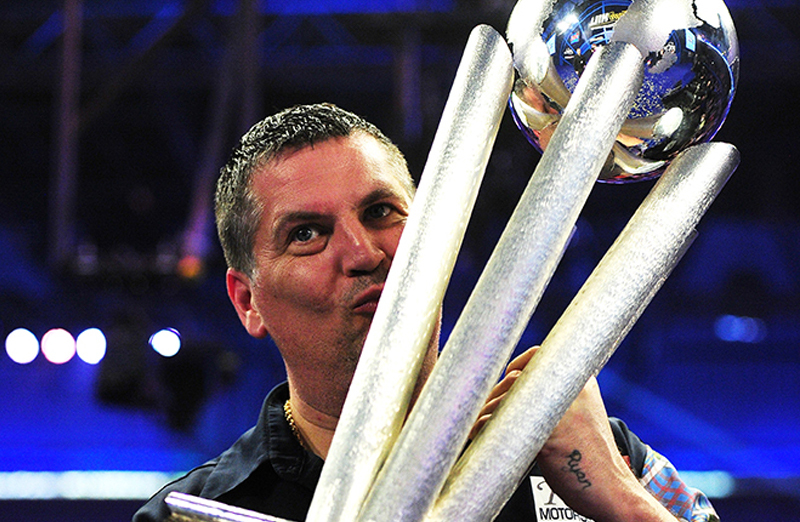 Gary added the prestigious World Matchplay and UK Open titles to his CV during 2018 as well as taking his tally of World Series victories to six. And he is getting better with age! He still enjoys the challenge and the battle, as he strives to hit new heights in what has been a stellar career. Of course, to win one World Championship in the most competitive era in the history of the Professional Darts Corporation is a fantastic achievement. To win back-to-back titles at the Alexandra Palace earns him a place in the history books. He came close to a third but lost the 2017 World Final to Michael van Gerwen. The pair are good friends but have built quite a rivalry. Gary beat Adrian Lewis in the 2016 World Championship Final by seven sets to five, coming 12 months after he finally realised his dream of winning the World crown when he took out Phil Taylor 7-6 at the Ally Pally. More of those iconic and history making nights later…..but there’s no doubt that winning the World Matchplay comes a close second for Anderson in terms of achievement. He had an ordinary record at Blackpool but in the summer of 2018, Gary swept everyone aside at the Winter Gardens. It was his year and as always, when it really mattered Anderson stood up to be counted. He had a tough draw beating Stephen Bunting (10-7) and Raymond van Barneveld (11-9) and that set up an all Unicorn quarter-final against Joe Cullen. What a match it was - a true Matchplay classic - as Anderson triumphed in a dramatic tie-break 19-17 after Cullen had missed two match darts! But Gary also made Winter Gardens history as he hit a brilliant 9 darter in the game. It was his 3rd televised 9 darter. His first came against Davy Dodds at the UK Open in Bolton and then the magical leg against Jelle Klaasen in the World Championship semi-final. He then won another all Unicorn battle in the semi-finals….Dutch youngster Jeffrey de Zwaan had stunned Michael van Gerwen in the 1st Round but Anderson held sway 17-12 in a terrific match. Anderson was then involved in arguably the best final in the 25 year history of the Matchplay. Mensur Suljovic stood between the Scot and the second biggest title in the sport. Gary looked in control, but time and time again he was pegged back by the Austrian. At 17-13 up with just one leg needed, Anderson seemed to have done enough. Incredibly though, Suljovic won five legs on the spin to go in front. It was a nerve shattering finale. Somehow the Unicorn ace held his nerve and after seeing a dart for the match bounce out of the bull, he nailed D10 to take an epic final 21-19. It was the longest final in Matchplay history. To be able to tick the World Matchplay off the list was a massive boost for Anderson. The Blackpool triumph came just four months after he won the UK Open for the first time in bizarre circumstances in Minehead. Heavy snow very nearly forced the postponement of the entire event but it was eventually played behind closed doors. Gary was the best player all weekend. He was in that zone. Victories over qualifier Robert Rickwood, Ricky Evans and Jermaine Wattimena took him to the quarter-finals where he swept aside Rob Cross 10-5. In the semi-finals, Anderson saw off David Pallett 11-7 before beating Aussie Corey Cadby in the final by the same score. His 2018 US Darts Masters win in Las Vegas was a 6th in the World Series. After coming back to stun James Wade in the semi-finals, Anderson beat Cross in the final at the Mandalay Bay. His other World Series triumphs have come in Perth, Tokyo, Auckland and twice in Dubai. Gary’s 2017 win in Dubai was right up there in the modern era. Playing outdoors in extreme heat, he beat Van Gerwen 11-7 with both players averaging a stunning 110. In recent times, Anderson has also reached finals at The Masters, the World Series, the Champions League and the World Cup with Scotland. Of course, as well as chasing that third World Championship, he is also bidding for a hat-trick of Premier League titles having won the event in 2011 and 2015 beating Adrian Lewis and Van Gerwen in the finals at the O2 Arena. And those never-to-be forgotten nights at the Alexandra Palace will forever live in the memory. In 2016, he swept aside Andy Boulton before running into Daryl Gurney. The highly-rated Irishman had beaten Anderson at the Players Championship Finals a month before! Gary won 4-1, although it was a lot closer than the scoreline suggests. After that though, he was imperious as he raced past Vincent van der Voort, James Wade and Klaasen, dropping only one set in the process. In the final, both players averaged 100 but you always felt that Anderson had the edge and so it proved. Lewis had fought back to trail 6-5 and broke the Scot at the start of the 11th set, but in true World Champion style Gary broke back, then under enormous pressure he took out a sublime 170 finish and then won the title on D12 for the second year running! But the feeling of beating Taylor to win the first will never be topped! It completed a remarkable few months after his triumph at the Players Championship Finals in Minehead. In fact, his first World Title capped a remarkable year. He won seven big tournaments on the PDC Pro Tour and then won another TV 'Major' when he claimed the prestigious Players Championship in Minehead. But the holy grail had passed him by until that memorable night when he took out Taylor to be crowned World Champion. It was a brave and courageous turn around. Gary's career had hit the rails in 2013 after the sad loss of both his father and brother.....darts was the last thing on his mind. He dropped out of the top 16 and it looked like he would never get the chance to achieve his destiny. But a heartbreaking defeat to eventual champion Van Gerwen at the 2014 World Championship changed everything. He was 3-1 up and lost 4-3. The normally laid back Scot was red with rage. It was THE turning point. It was the day everything changed. It was the moment you can say Anderson stepped on the path to winning the World Championship. 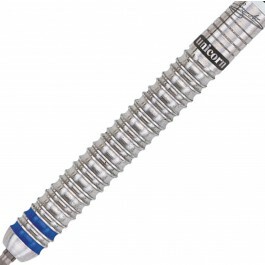 Unicorn developed some new darts. The first weekend that Gary played with them at the start of February 2014, he won the German Darts Championship, beating Justin Pipe in the final. It was the start of what turned out to be a quite incredible year. He went to the Ally Pally in the form of his life having just won his second PDC 'Major'. Gary put down a huge marker by sweeping aside the field in one fantastic weekend in Minehead to win the Players Championship Finals. Those seven Pro Tour victories in 2014 saw him head to the Tournament as the No.1 seed but in a twist of tungsten fate, he was handed the toughest possible draw. Anderson had to average 106 to beat Dutchman Christian Kist 6-5 in the 1st Round! Then it was Stephen Bunting standing in his way, but another virtuoso performance saw Gary win 10-5. But arguably his best display came in the quarter-finals when he finally beat Taylor again in a TV 'Major' knock-out Tournament. He was brilliant, winning 10-6. Little were we to know it at the time, but it was one of the keys to him winning the World Championship Final. The Scot beat Vincent van der Voort 11-7 in the semi-finals and was too good for Adrian Lewis in the final.....an 11-6 victory to see him crowned Players Champion. It certainly made him battle-hardened heading for the biggest stage and the biggest tournament in the world of darts where ultimately he stood tall and proved that he was the very best in the business. But it wouldn't have been Gary without the now customary slow start! 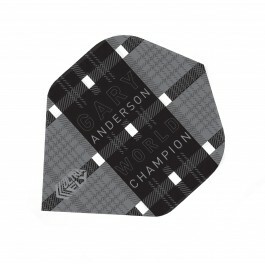 He eventually beat American Scott Kirchner 3-1 with an 85 average, but Anderson grew in confidence and stature. In round two he came up against in-form Dutch ace Jelle Klaasen and in truth the Unicorn star produced one of the best performances of the year to win. He was three sets to one down and 2 legs to 1 behind.....Klaasen was sat on 89 for the match but Gary came up with a superb 84 finish on the bull to stay alive. It changed everything! He stormed back to make it 3-3 and in the deciding set, Anderson was unplayable....12 darter, 12 darter with a 126 finish and 11 darter including two 180s to complete a sensational fightback. After that, you really did start to believe that this was Anderson's time. Convincing wins against Spanish qualifier Cristo Reyes and former Ally Pally finalist Peter Wright followed to set up that semi-final showdown against Van Gerwen. After the World Championship defeat the previous year and an agonising last leg defeat to the Dutch star in the 2014 Premier League semi-finals, it was all the motivation Anderson needed. He was the man in form. It was Van Gerwen who should be worried. And so it proved! And that terrific win over Taylor only four weeks earlier in Minehead had convinced Anderson that this was his World Championship and he didn't disappoint with a performance laced with class, confidence and courage. The final lived up to all expectations. Anderson was superb. He held it all together when in the past, by his own admission, he may have capitulated. It was a real nail-biter. Anderson started well as he established a three sets to one lead. However Taylor stormed back as he won 9 of the next 10 legs to go ahead for the first time in the final at 4-3. The big turning point came in the 8th set when Taylor missed three darts at D12 for a 5-3 advantage. Anderson stepped in to level and found another gear as it was his turn to win three consecutive sets. It was 6-4. He was closing in! Winning the 9th set was reward for real guts and determination because at the start of the set he lost 180 points on the floor....the third dart going in the T20 but knocking the other darts out. Taylor wasn't finished though and he hit back to take this epic final into a deciding set. They'd been on stage for nearly three hours. But Gary Anderson saved the best for last. A clinical 72 finish to take the opening leg.....he then broke the Taylor throw and in the next leg the Scot banged in his 19th 180 and he hit the sweetest D12 of his life. He was the Champion of the World! He had the Sid Waddell Trophy in his grasp. 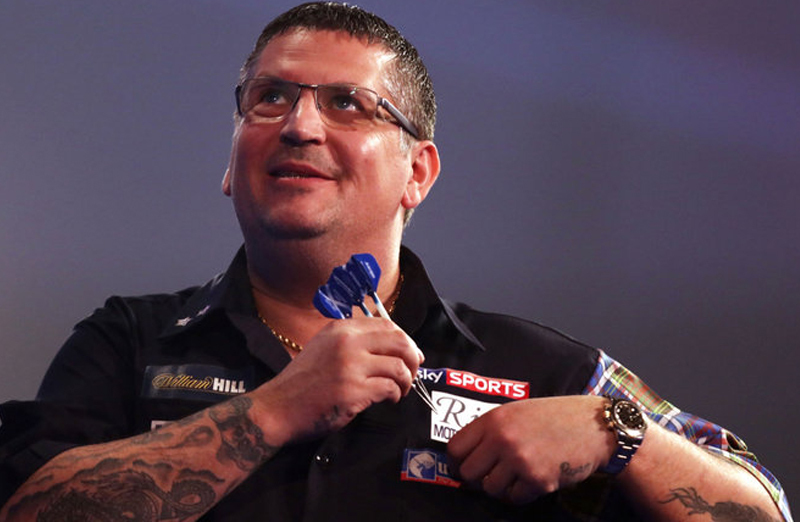 It is a hugely different Gary Anderson to the player who joined the PDC ranks in 2009. We had all got a glimpse of how good he was when he reached Grand Slam semi-finals when he was with the British Darts Organisation. His first PDC 'Major' came in 2011. After a string of near misses, Anderson finally won a ‘Big One’, when he was crowned 2011 Premier League Champion on a dramatic night at Wembley. Gary finished a superb third in the league stage in his first season in the Premier League, but there was no stopping him on finals night at Wembley in May 2011, when he beat Raymond van Barneveld in the semi-finals, before dismantling Adrian Lewis in the final. He knows he should have won a lot more. Gary has lost finals at the Grand Slam, UK Open and Players Championship to Taylor.....and in that remarkable 2014 he really should have reached two more TV Finals. He also still holds the record for the number of maximums in a match in the Premier League – hitting 11 in his victory over Simon Whitlock in Birmingham in 2011. But Anderson is a rare talent. Hugely popular with darts fans and one of the sport’s great entertainers……his landmark first win with the British Darts Organisation came in 2001 at the Welsh Open and he won dozens of tournaments, including the Gold Cup, British Open, British Classic, the prestigious Zuiderduin Masters twice and the BDO Grand Prix. But his big breakthrough onto the world stage came in 2007 when Anderson won both the World Darts Trophy and International Darts League – displaying his talents to a big TV audience. Both victories came in Holland where Anderson was already very popular on the exhibition circuit. He thrashed Taylor by 7 sets to 3 with a 104 average to claim the WDT and he beat Mark Webster at the IDL, after disposing of Lewis and Wade in the knock-out stages. Looking back, Anderson admits he should have switched to the PDC around that time, but the move across the great darting divide in February 2009 wasn’t so much a leap of faith but a signal of his intent to play and beat the very best. And that’s exactly what the Scot has done. 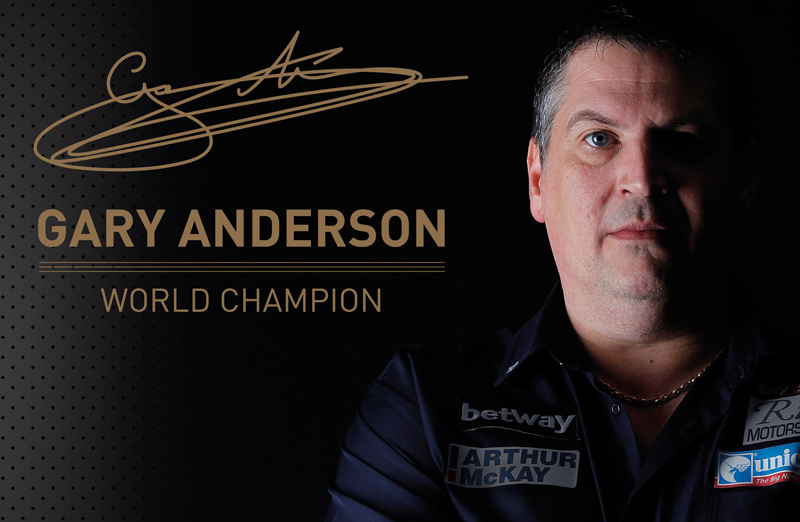 Anderson has now won nearly 50 PDC titles and established himself as one of the very best in the business over the last three decades....his biggest disappointment remains that World Championship Final in 2011. “My worst performance of the tournament,” was how Anderson described his 7 sets to 5 loss to Adrian Lewis in that great final at the Alexandra Palace. But of course, revenge was sweet - and by the same score - at the 2016 World Championship. And his tungsten tale is now one of darting folklore! Would you believe that Anderson may never have played darts and the first time he picked up a set of ‘arrers, he was 24-years-old, living in the Scottish Borders and it was only because he was broke! He then started to play in the local leagues and started winning tournaments with prize money of £1,000 and £500. Anderson graduated to Super League with Mussleborough and then County darts with East Lothian and East Stirlingshire. 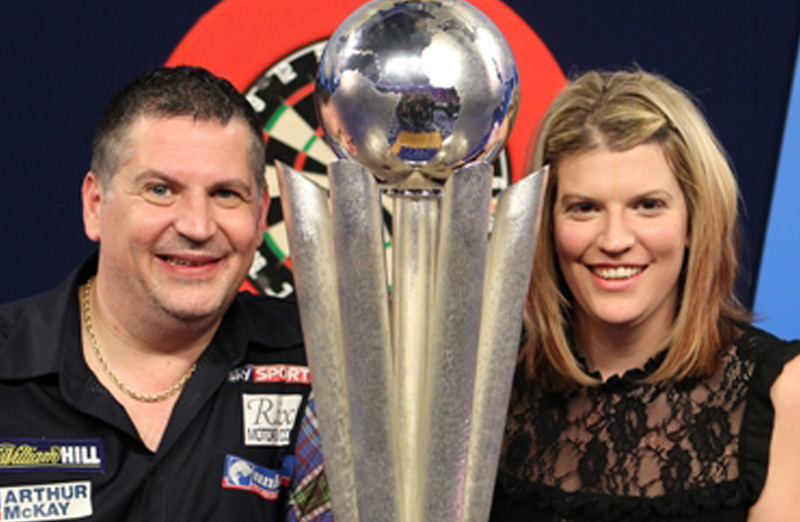 The journey had well and truly started for Gary Anderson. He qualified for his first Lakeside World Championship in 2000 and although he never had the best of luck at the BDO World Championship, his best performance came in 2003 when he lost in the semi-finals to Ritchie Davies. He was actually in a full-time job up until 2005/06…..he worked for nearly 20 years at a building company near Edinburgh making marble fireplaces! Anderson is also putting something back into the sport. He mentors and sponsors several of the sport's young stars including the hugely talented Team Unicorn star Michael Smith. Gary lives in Burnham-on-Sea with partner Rachel and has three sons - Ryan, Joel and Tai - and young daughter Cheylea. 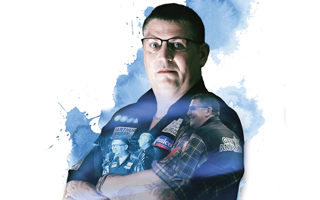 Without doubt one of the very best of all time, and you get the feeling that there are still many chapters to be written in the Gary Anderson story.